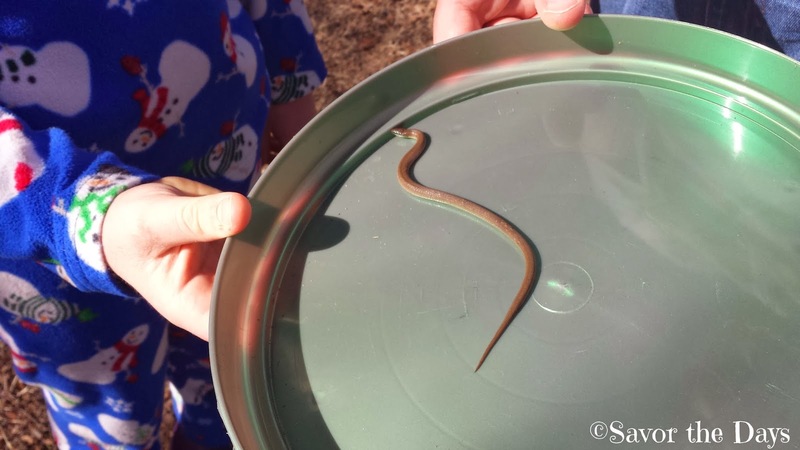 Savor The Days: We Have a Pet Snake! Rachel and I were working on raking up leaves in the backyard when Rachel asked me, "Mommy, is that a snake or a big worm?" 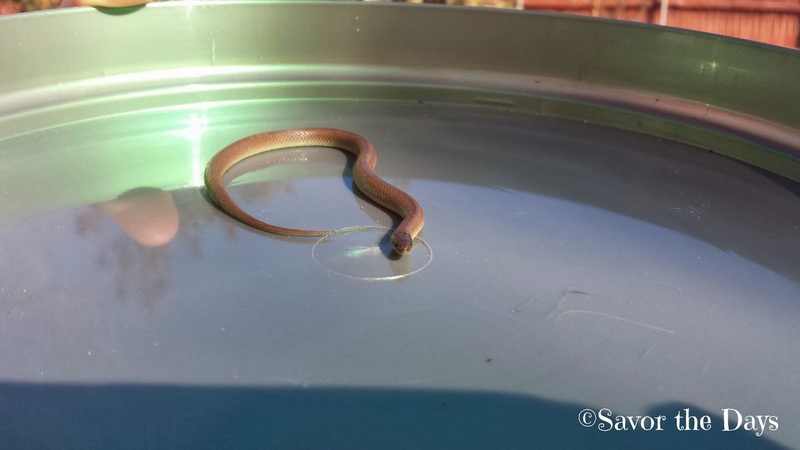 It was a real snake...in our backyard! Rachel went to get the boys to come out and see. Nicholas, of course, grabbed his empty reptile habitat and wanted to capture it for a pet. We put it in the habitat base just so we could get a better look at it and watch it move around. 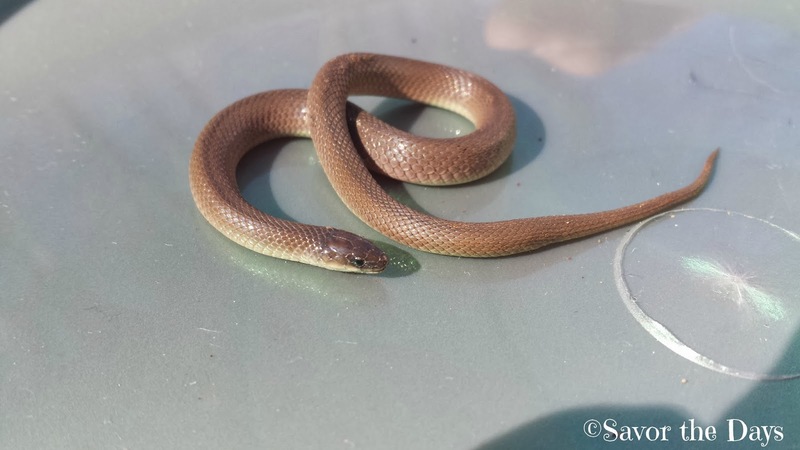 We got out our snake identification field guide and also posted a picture of it on a local community page on Facebook to ask their opinion of what it is. 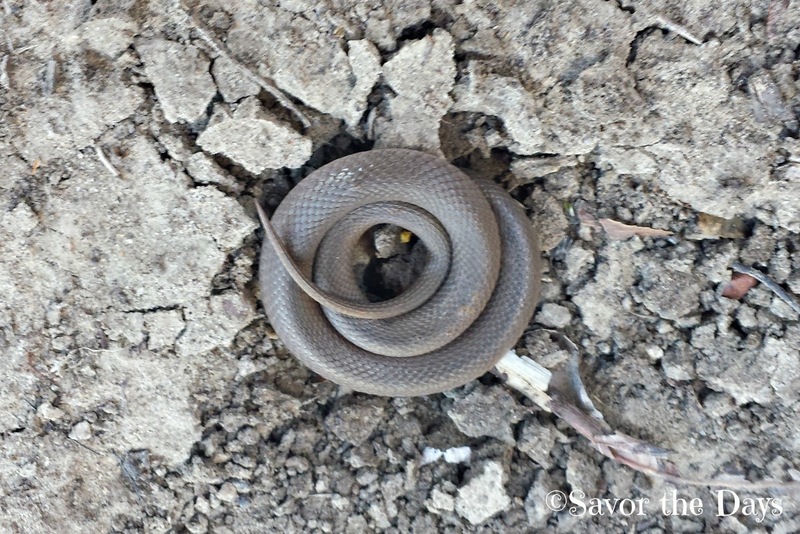 We determined that it is a Rough Earth Snake and it is harmless. Whew! I'm fine looking at him but I do not like to watch him slither, especially towards me! We decided to keep Hairy for a few days so he has some dirt and is well secured in the reptile habitat box. The kids even dug up some fresh worms to feed him. He has since buried himself under the dirt and hasn't been seen since. I sure hope he is still in there and not slithering around our house! Since he likes to be hidden, he doesn't make for a very fun pet so we'll probably release him into the woods tomorrow. But for now, we have a pet snake.